I was fortunate enough to spend a good bit of time in New Zealand in the winter of 2008-2009 while getting my NZ Driver’s License. The bulk of that time was spent in Christchurch, so I was excited to get back and show my co-guide Jake around a city I was familiar with. Little did I know, I wasn’t returning to the Christchurch that I knew and loved. In September, Christchurch got hit with an earthquake of magnitude 7.1, centered very near downtown Christchurch. That’s a pretty mighty shake, and located in the center of a city as it was, you might expect a high death toll. Instead, the death toll was a remarkable zero. 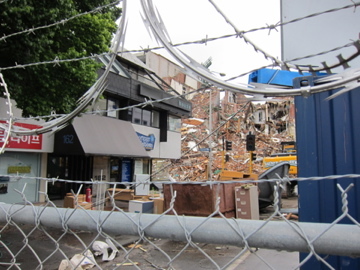 The quake hit at 4am, so the businesses and office buildings that took the bulk of the damage stood empty. 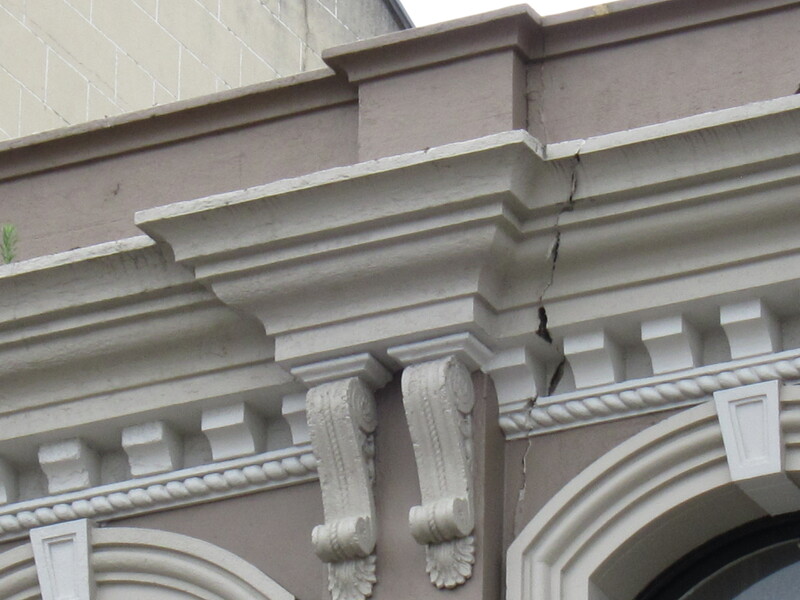 There is not a high concentration of people actually living near downtown Christchurch, and those who do live largely in newer buildings, built to be a little more earthquake resistant. While the death toll was zero, the number of people whose lives were altered dramatically is extremely high. Walking through Christchurch is like walking through some bizarre mix of a ghost town, a war zone, and a post-apocalyptic city. There are entire city blocks without an open business, where once there was a thriving economic zone. Chain link fences surround buildings, and signs on storefronts state “Do not approach this building. Significant structural damage.” When you peer though chain link fences you can see bookstores, music stores, clothing boutiques, and restaurants fully stocked, exactly as they were at the close of business in early September, where no one can shop, and the owners aren’t allowed in to move their inventory to a new location. A couple nights ago we wanted to go out for Indian food. I knew a great place. We headed that way… closed. We searched Google Maps for more. There were nine listings for Indian restaurants in downtown Christchurch. The first seven we went to were behind chain link fences. Last night we wanted to go to Winnie Bagoes, hands down my favorite place to get a pizza in Christchurch. Same story … closed. This time, the entire city block was encapsulated by one massive chain link fence. A great little bar district that I spent a lot of time at met the same fate. Same with Grind, a great little bike boutique that had a special place in my heart because they sold Surly Bikes. Even more frustrating for some business owners than a sign that says “Do not approach… Significant structural damage” has to be the sign that says “Do not approach … awaiting inspection.” Here we are four months later and there are still businesses that may find out that their building is fine, and they’ve been missing out on months of business just waiting to see. Many homeowners find themselves in a similar situation. While I haven’t heard of anyone who is still waiting to find out if they can occupy their homes, but there are other hurdles in getting back to normal life. For those whose homes have been declared unlivable, the time to rebuild is 3-4 years or more, as there just aren’t enough contractors to go around. Disaster aid will pay rent for six months for those who have had to move out of their homes. At the end of that six month period, the homeowners will have to pay the mortgage on a home they can’t live in or sell AND pay for rent on top of that. Even if a structural engineer has been by to declare a home sound to live in, the insurance adjuster probably hasn’t been by to start a claim, and until that happens, the small repairs can’t begin. For homeowners with minor damage such as cracked plaster or a few broken shingles, they have to stare at those constant reminders until the insurance company comes out, or face their claims being denied. As if the damaged buildings and closed businesses weren’t enough of a reminder, Christchurch is still experiencing a few major aftershocks. One on December 26th shook the city hard. The wave was different from the big one in September, and many buildings that were unharmed in the big one cracked, shifted, and fell in that much smaller aftershock. 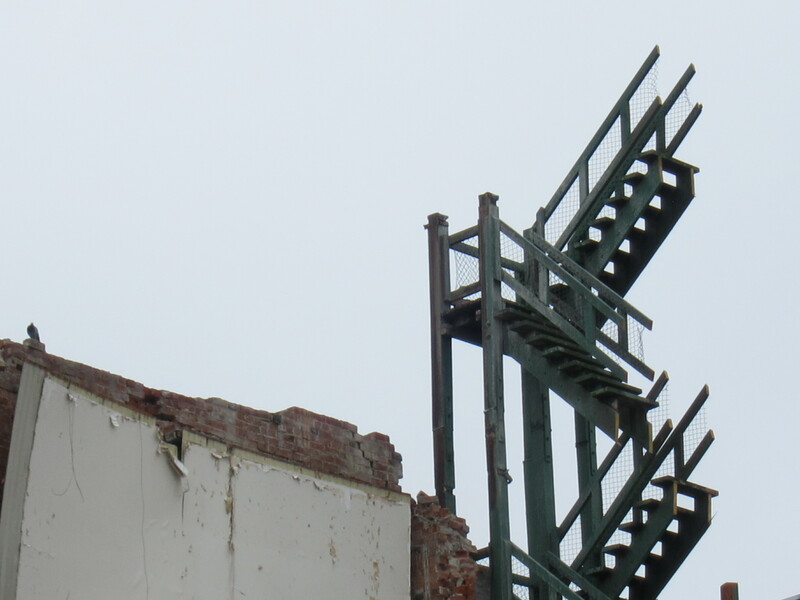 The day after I arrived, a smaller 3.8 rattled the city, giving the ground a good shake and making a huge noise in the storage building I was in – shaking me a bit along as it went. It gave a context to what I was seeing as we walk through the city. I can’t imagine what it must be like to have been here in September, and then feeling these smaller tremors, with the momentary concern about whether this one is another big one, or just another reminder.